Last week we finally got to check off something that is on every Disneyphile’s bucket-list, a visit to Disneyland Park in Anaheim. We got to walk in Walt’s footsteps down Main Street, U.S.A. We were able to see the bench that Walt sat on when he ‘dreamed up’ this magical place while sitting in Griffith Park. We rode a loop around Disneyland Park in the Lilly Belle, a train car that Walt used to conduct meetings in. We were able to see the small Christmas tree lit in the window of Walt’s apartment over the Disneyland Fire Dept. For a Disney nerd like me, it was all so surreal. We spent 7 days at Disneyland Resort; immersed in Disneyland Park, Disney’s California Adventure, Downtown Disney and the resorts. I took a back-stage tour in Disneyland Park and enjoyed an amazing dining experience at Carthay Circle. Our group had private access to Cars Land and Radiator Springs Racers prior to the park opening one morning. It was a dream trip. Of all of the amazing experiences we had, by far my favorite moment of the trip was sitting on the ground, as a family, in Disney’s California Adventure Park eating dinner next to a row of dirty strollers. 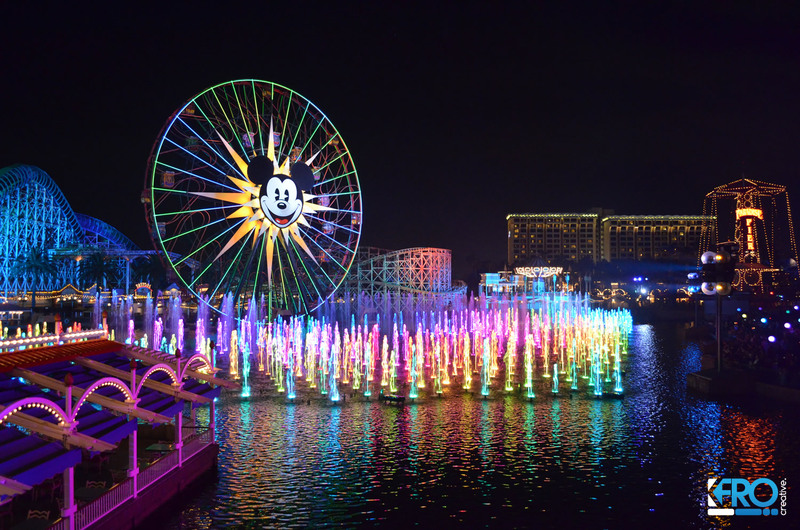 Disney’s California Adventure Park has a remarkable show called “World of Color”. 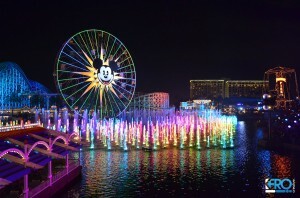 It is a fantastic display of lights, water, projection and fire; all orchestrated in a way only Disney can do. The best seats in the house are reserved for FastPass holders for the show, and beyond the FastPass viewing areas the seats with views are very limited. To ensure that we had the best spot possible without a FastPass, we set up camp about an hour and a half prior to the show in a stroller ‘parking lot’. Once we set up camp, I trekked across the park to hunt down and drag home ‘supper’ for my family. Up until this point our entire trip had been non-stop. Meals were rushed. Bathroom breaks were rushed. Snacks were rushed. All in a pursuit of conquering all that we could while we were at Disneyland. So, following 7 days of intensity, here we sat as a family, dining on paper plates with plastic utensils…on the ground…in the middle of a theme park. This was our last night at Disneyland Resort. Our view consisted of the white rails in front of us, the dirty strollers beside us, and the knees and shins of other families pushing on with the same intensity we used all week. We were together. We were talking and reflecting. We were still. It was good, it was real good. As we talked, we all recollected our favorite things we’d seen or done over the week. Micah, our five year old, was very quick to announce that sitting on the ground eating together was one of his favorite ‘things’ we did on our trip. 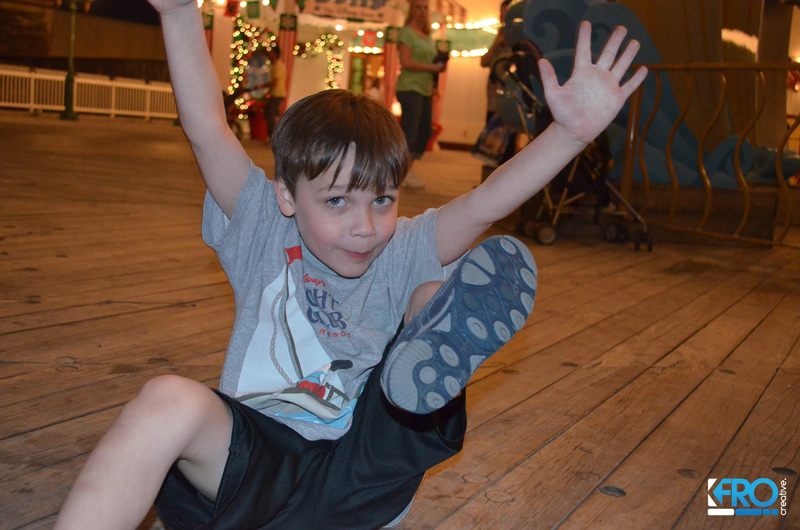 We exposed him to so many things that many five year olds would have loved to have done. He was on a ‘once in a lifetime’ trip by many families’ standards. He met the Fab 5, he rode all the rides he wanted, he drank way too much coke and ate way too much sugar. Still, his standout, was sitting on the ground, as a family. Eating. Sharing. Laughing. Sometimes we try to fill our children with so many experiences and things to bring them joy; when all they really want to do is be still with their mommy and daddy. The trip was great, and he had a blast no doubt; but to him, it was much greater to just ‘be’ with mommy and daddy a while. To eat off of a dirty ground with plastic utensils. To laugh and to share. Sometimes we just need to be still in this ‘World of Color’ we all live in.